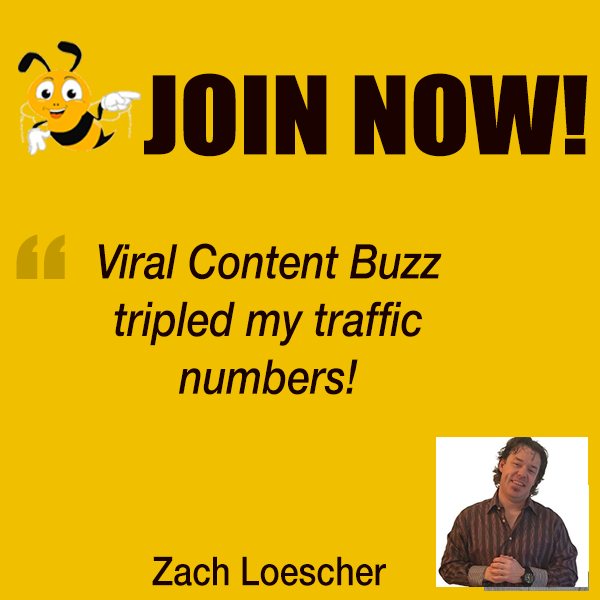 Adewale Adebusoye has published a quick review of Viral Content Buzz sharing his experience. He was using VCB as a free member first and then switched to the Honey Bee Plan (Which comes with 200 free credits, priority moderation queue support, premium forums, etc) and noticed how his traffic numbers jumped. 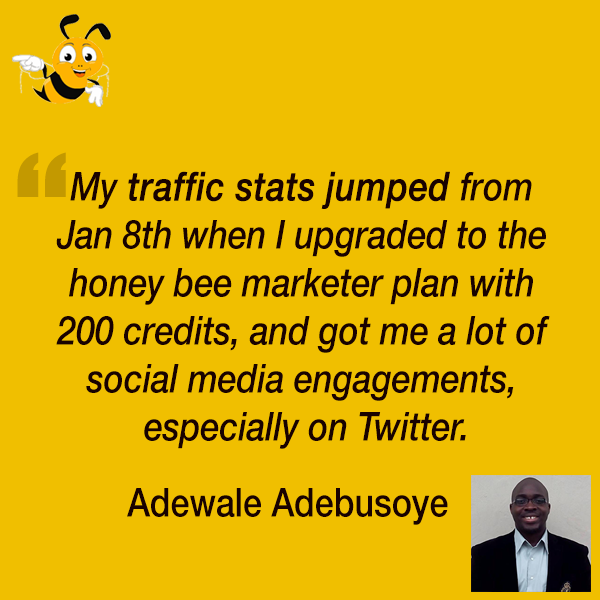 My traffic stats jumped from Jan 8th when I upgraded to the honey bee marketer plan with 200 credits, and got me a lot of social media engagements, especially on twitter. Adewale also noticed more engagement on social media, especially on Twitter. It’s very heart-warming for us, as a team to hear this great feedback from our PRO user. We appreciate our community support and we are willing to provide top-notch quality to both free and paying users but as an independent platform, it’s no secret that our team is maintained by providing PRO plans. That being said, without paying members, our platform would not be possible! It’s also very re-assuring to know that our PRO plans actually work! Yes, we test the paid packages all the time and regularly collect feedback on a regular basis but it’s always great to receive this unexpected gesture of appreciation. Thanks for this!